A visionary social enterprise, led by a group of female students in Amsterdam, aims to change the face of international development. On the launch of the OFoundation’s crowdfunding campaign, Victoria Peter tells their story. Ever since working for a local Human Rights Organization in Togo right after finishing high school, I knew that my mission in life would be to engage in shaping sustainable programs and policies for poverty reduction. During my time at this NGO in Africa, the enthusiasm and courage I felt amongst my colleagues often vanished in empty promises and financial constraints. It was this experience that made me realize that as long as separated, isolated philanthropy, as well as merely profit maximizing business are unlikely to be the key to sustainable global development. For a future with less poverty, controlled climate change, as well as a stable economy, I am convinced that it needs a different approach. 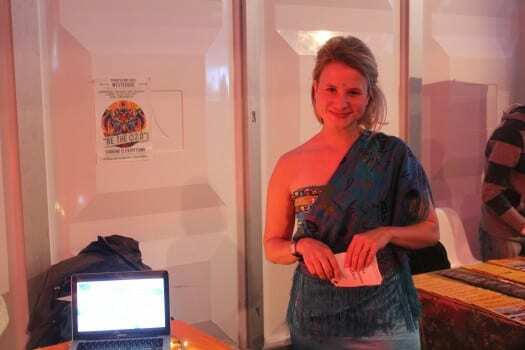 Upon arrival in Amsterdam, where I was to study International Law and Philosophy, I met two very inspiring people, who had the same goal and ambition and had just set up a social enterprise. With an initial team of 5 people, we simply got to work. We all shared the opinion that classical development programs often create dependence and corruption, impose our western values and are not sustainable. Our answer is Social Franchising. We did not really know where we were heading at initially. The only thing that was cristal clear was our goal: to make the world a little bit better. Through OFoundation, we do not only want to sustainably help the poor, but we want to incite a change in mind-set. We will provide employment to people that usually don’t have access to the formal labour market. In partnership with already existing local companies, we will set up a franchise company. This enterprise entails mutual responsibilities and helps an existing business model to grow, instead of imposing our own western ideals. We will then use part of its profit to set up another social enterprise, which is a long term solution to fight poverty. This concept is as simple as it is effective: sharing knowledge, responsibilities, values and profit. This sounds like a wonderful idea; but how were a bunch of students going to make this work? After all, we lacked expertise and resources. However, one thing we had enough of: the belief in the power of our idea. For the past two years, we have built a team of 20 core members and more than 60 volunteers and built a large support base through several fund-raising events. Moreover, we polished our business plan, have a sponsored office and have received a first grant by Synergy worth 4000€. We have learnt a lot of lessons – and some of them were not pleasant – but now we can proudly announce that we are ready to start our first project in Mumbai’s e-waste management industry. Waste-Pickers live and work in terrible conditions, are socially excluded and barely get by. We will set up a franchise company with Recyclekaro, an already established local enterprise. In this waste sorting location, we will employ waste pickers from Mumbai’s slums; provide them with fair wages, protection and therefore a prospect for a brighter future. For this very first project we need a minimum of 30,000€ for which we chose to use crowdfunding. The campaign started at this week, click here to check it out. If you believe in something, you just have to DO. Too much thinking will only keep you from making mistakes and growing stronger. It is this mind-set, which has brought us here. Moreover, the team-spirit that evolved amongst us has been the most powerful and encouraging energy that kept me going through the past three years, where a quasi-full time job was often difficult to combine with full time studies. It made me aware of the extreme importance of team spirit for any business initiative – friendship and respect for the other are the best ingredients for a successful and long term partnership. Once the money is gathered, the first adventure will begin with the project in India. After all, I might have to defer my entry to my university Masters program – but nothing would be more shaping and valuable than starting a company with our very own social enterprise. We are never too young, we can only become too old! For more details see the OFoundation’s crowdfunding campaign or visit their website. Hi Victoria – lovely story. I was interested since I grew up in India. I actually knew a waste-picker personally, (in Calcutta, not Mumbai) so might have some insights to share, if you are interested. I tried to get to see more, but the links don’t work. Perhaps you can fix that? Inspiring story, great to see more female social entrepreneurs & sustainable agents!